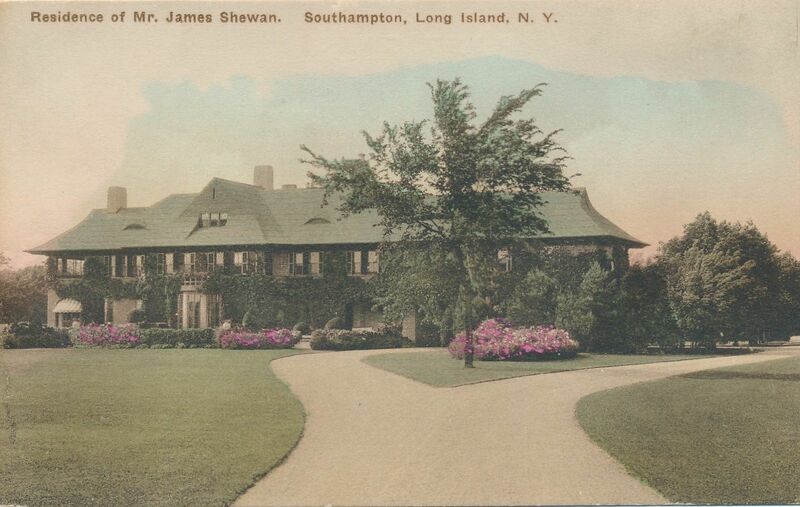 'Strathmore', the James E. Shewan Jr. estate in Southampton originally built for Dr. Albert Heman Ely by Grosvenor Atterbury c. 1900 and called 'Elyria'. Shewan was a partner in James Shewan & Sons, Brooklyn. Click HERE to see the residence on bing. This looks a lot like (OK, identical to) Elyria, which is extant. Could it be the same house? Good catch! Definitely the same house.